Are you a Game of Thrones fan? Here’s news for you! 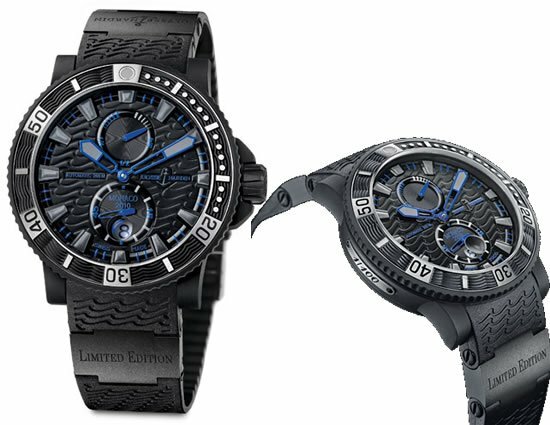 Swiss manufacturer, Ulysse Nardin has recently collaborated with HBO, launching the “Night’s Watch”, a signature limited edition watch for men. True, you’d be all excited with this piece of information. 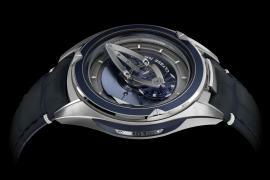 Nevertheless, having had a first look at the watch, it kept nagging us that we’ve had something like it before. 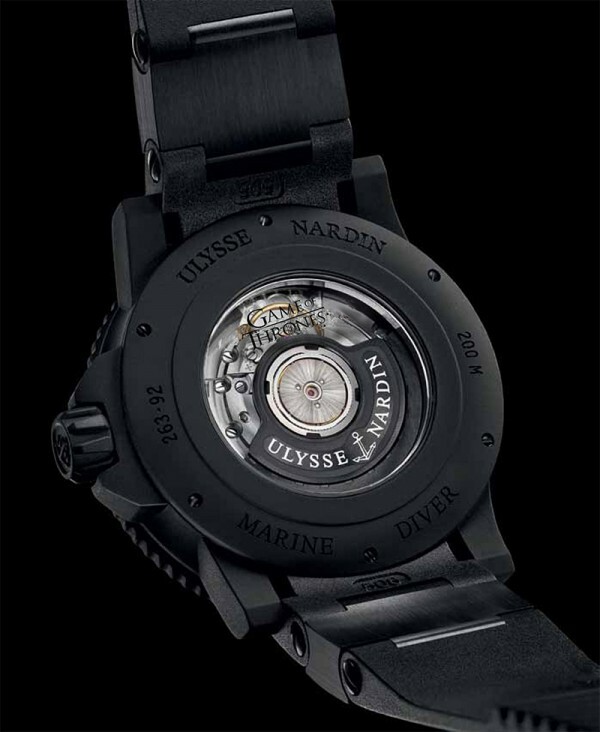 And bang, there jumps out of the closet one of Ulysse Nardin’s own – the Black Sea watch. 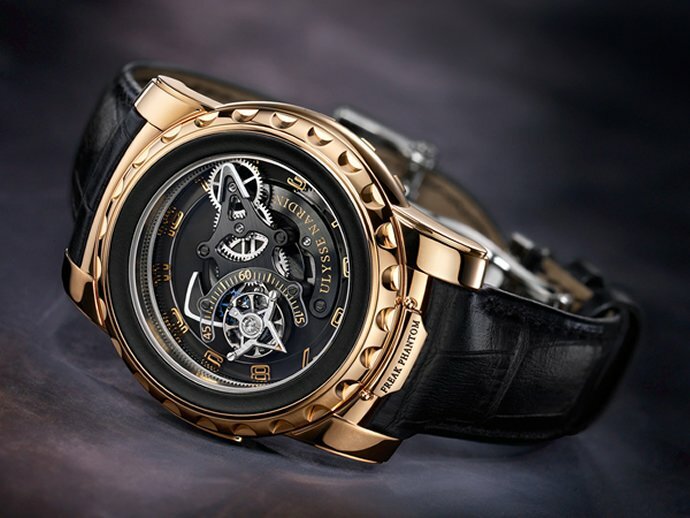 Both watches as mirror images of each other. 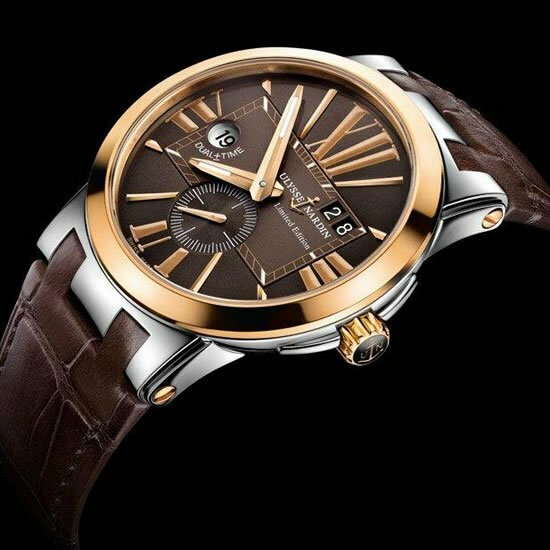 The only difference being its accented color and branding. 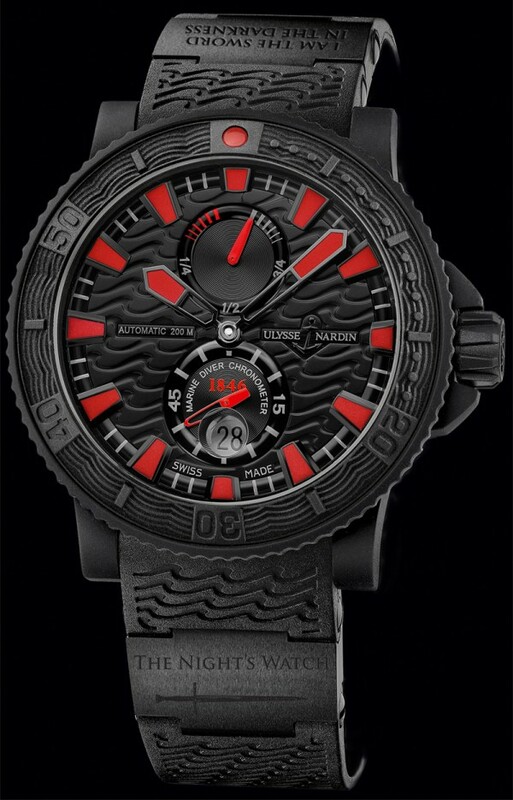 While the Black Sea displays blue accents, the newly launched Night’s Watch flaunts red. 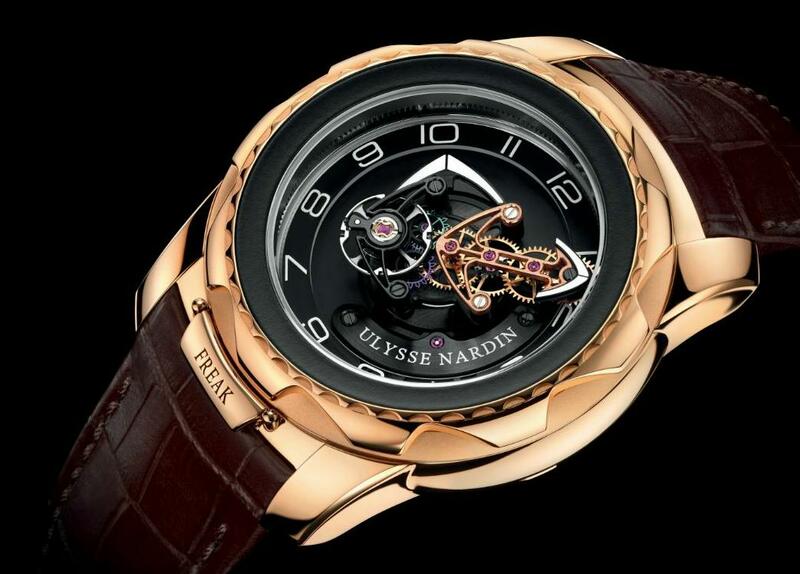 As for the branding, both links of the Black Sea showcase “Ulysse Nardin” engraves while either of the links on the newly launched display different engraves – one – “The Night’s Watch” logo with a sword and the other – The Night’s Watch motto – “I am the sword in the darkness”. 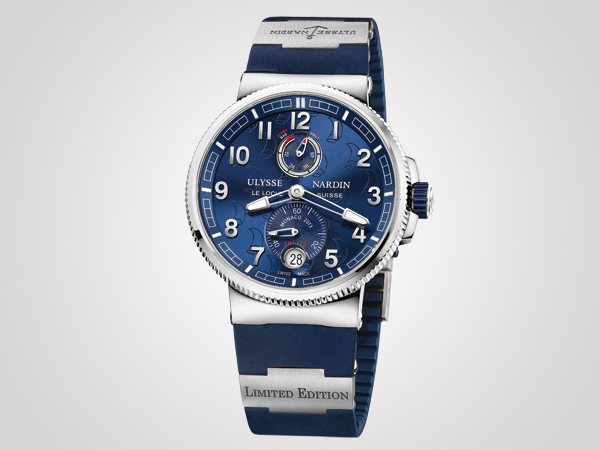 However, we do not intend to nullify the exclusivity and uniqueness of The Night’s Watch marine diver wristwatch from Ulysse Nardin. 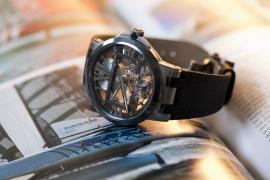 The Swiss watchmaker has often been glorified for its works, so let not other factors bother you. 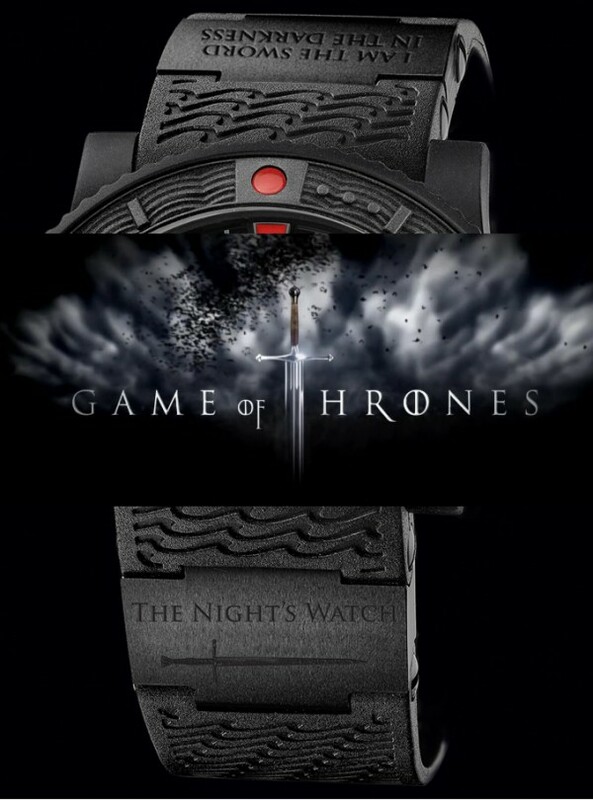 In fact, go ahead bask in the thought of owning an official Game of Thrones “The Night’s Watch”wristwatch because there will be available, starting from June, only 25 exclusive pieces of this make for $10,500.